Are women allowed to let their hair loose? Why are Goddesses depicted with their hair untied? My knowledge is that women shouldn't have their hair untied. I've also heard in discourses (pravachanams) that a woman should never let her husband see her with untied hair. What do our śāstras say in this regard? Can a woman leave her hair loose or untied? Is depicting Goddesses with their hair untied, against what our śāstras recommend? 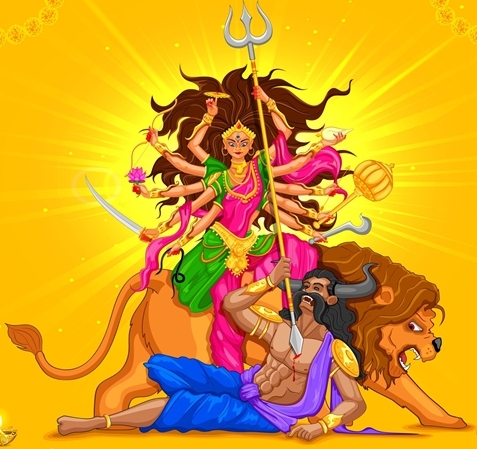 Another observation I've made is that North Indians are quite okay with Goddesses with untied hair, whether it's a painted picture or a digital image; however, South Indians condemn that practice. To what extent is my observation correct? I tried searching for these doubts on the internet, but the best I got was a forum filled with opinions of few ladies who believe it's harmless to discontinue traditional practices that are not "modern". The answer is NO: first i would first appreciate the scence of enquiry , but we observe in all pauranic stories that all rishi patnees are depicted with long hair and even various forms of goddess all have again long hair. it is believed that it signifies "Ksheel" (sorry not word in english to make you understand better) of a lady. moreover i even asked an ayurveda doctor who is a good friend of mine she also agreed that ladies shouldn't cut their hair because of it's deep connection with harmones. but weather to tie or not it depends situation to situation , there is no serious issue or concept regarding this ..
Why are women advised to tie their hair in temples? Are women allowed to be Hindu sanyasis/monks? Why are women not allowed to chant the Gayatri mantra? Why are women not allowed to enter Sabarimala temple? Are married women allowed to fast religiously(vrata)? Are women allowed to wear rudrakshas? Are pregnant women allowed to go to temples? Are women allowed to undergo upanayana? What types of [non-intimate] friendly touches are allowed with other women?